Please note we actively encourage parents to let Ofsted know what you think about our school via the website ‘Parent View’. During an Ofsted Inspection, inspectors would view responses on Parent View to help evaluate the performance of the school. 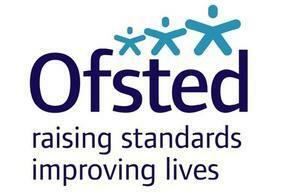 To place your views online, simply click onto http://parentview.ofsted.gov.uk/ and follow the step by- step instructions. Please note you will need an email address to add your views online. Thank you in advance!